The Tork Xpressnap® Image Napkin Dispensing Systems , designed by Zenit Design for Essity, has been named a top winner in one of the world’s most prestigious design competitions—the Industrial Designers Society of America (IDSA)’s 2015 International Design Excellence Awards (IDEA) . 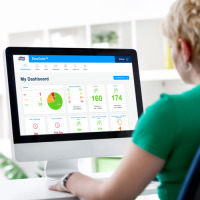 Herndon, VA—July 8, 2015— The Tork Xpressnap® Image Napkin Dispensing Systems , designed by Zenit Design for Essity, has been named a top winner in one of the world’s most prestigious design competitions—the Industrial Designers Society of America (IDSA)’s 2015 International Design Excellence Awards (IDEA) . The Tork Xpressnap® Image Napkin Dispensing Systems were created especially for design-conscious establishments. 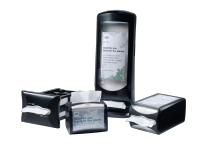 The premium napkin dispenser line is made of high quality, genuine aluminum and walnut materials and, through an easy-to-use refill system, delivers one-at-a-time napkin dispensing, reducing napkin usage. More than 1,700 products from around the world entered IDEA 2015—as the competition marks its 35th year and IDSA celebrates its 50th anniversary. The winners can be viewed here. For the first time, just which entries have won Silver and which have won Gold—won’t be revealed until August 22—when the 2015 IDSA International Conference culminates in grand style with the IDEA Ceremony and the Samsung-sponsored, black-tie optional IDEA Gala at stunning Benroya Hall in Seattle. “When we look at a design, we’re not just looking at what’s trendy or fashionable at the moment. We have the context of that history of that long line of designers that came before us…That collective knowledge exists within IDSA is kind of like a living treasure.” In this new video, see more of Marzynski’s conversation with IDSA Executive Director Daniel Martinage, CAE. In 20 IDEA categories, there were professional and student entries from the United States and almost three dozen other countries—Australia to Austria; Estonia to Iran; and Serbia to Somalia. New IDSA Board of Directors Chair John Barratt—a former IDEA Jury Chair—calls the competition “the authority on design” and says IDEA jurying is “the most rigorous and thoughtful” in the world. The IDEA Ceremony is free and open to the public. A ticket to the IDEA Gala is included with professional 2015 International Conference registration. Additional tickets may be purchased in advance here.